Showing items tagged with "Taking Control of Your Inbox" - 12 found. One of the quickest ways to stop email overload is to reduce the rounds of email ping-pong. Using brilliant business email etiquette to convey the right message, right first time will help. Moreover, you have less than five seconds before the recipient has formed an opinion of you for better or worse. Poor email etiquette can damage your reputation in a nanosecond. Based on using brilliant business email etiquette, here are today’s four steps to reduce even further the level of email overload and hence improve performance, well-being and mental health. Don’t forget there are lots more tips and advice like this on ‘Brilliant Email’ and ‘Taking Control of Your Inbox’ a book written especially for PAs and EAs.And there are our Brilliant Email Masterclasses. PS. Don’t forget to keep cleaning up that folder of old emails which you created on Day 1 (and indeed any other bulging folders). Mesmo Consultancy is delighted to announce nominations are now being accepted for the 2017 World Email Ping-Pong Challenge. Email ping-pong is a ‘game’ played by millions of employees every day who send pointless emails back and forth instead of picking up the phone. But we digress – we want to find out who are the world’s best email ping pong players. Have you been in an endless round of email exchanges or spotted a ping pong email game between two people which goes nowhere and often spirals out of control. How many emails did it involve and over how many days/weeks did it last? Tell us what is the longest round of email ping pong you have ever played or spotted? Gold, Silver and Bronze medals will be awarded and for the best two responses a copy of either ‘Brilliant Email’ or ‘Taking Control of Your Inbox’. Please send your nominations either via email or leave your comments on this blog. Email ping-pong is symptomatic of our addiction to email and poor business email etiquette. 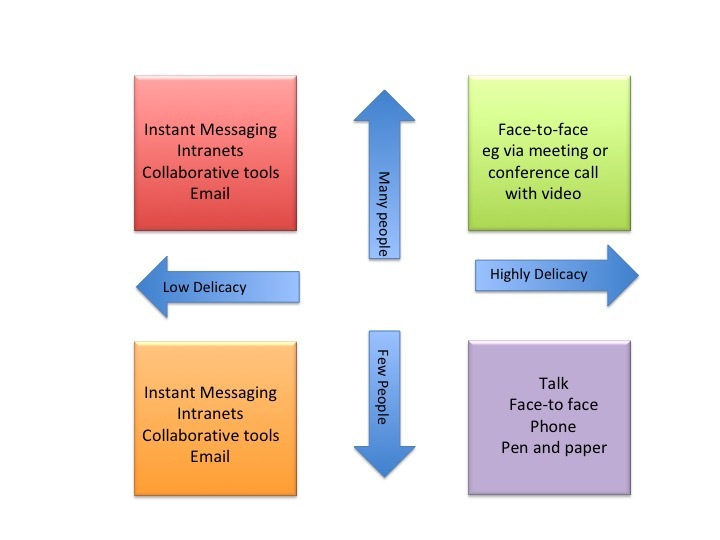 Often we forget to use other forms of communication which could be more efficient and solve the problem more quickly, for instance the phone or a face-to-face conversation (live or by video-link). In January 2017 DMR stats reported that 269 billion emails are sent daily. In 2016 The Huffington Post reported that the average worker spends 6.3 hours a day on their email and The Economist highlighted that processing an email costs the average business just under $1 per email. So ten pointless rounds of email pong-pong means $10 down the sink. Played by ten pairs of employees at least five times a week – your business has now wasted the equivalent of $500 a week. Can you really afford to lose this much profit not to mention time and productivity lost? 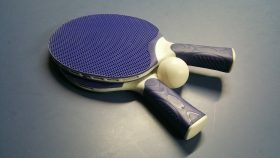 Want to bow out of the World Email Ping Pong Challenge to improve performance and reclaim all this lost time and money? Then watch our latest Business Email Etiquette video on how to stop email ping-pong. Rachel —> Steve: Great, what do you need from me? Steve —> Rachel: Like this? Steve —> Rachel: OK, anything else? Rachel —> Steve: No don’t think so, but check with Zack in case he has any thoughts. If you want to save even more time managing email more efficiently why not call us now about our Brilliant Email Management workshops or buy yourself a copy of either Brilliant Email or Taking Control of Your Inbox. Hacked emails accounts reveal potentially damaging emails and some off the wall tips on dealing with people who expect an instant response to their emails. 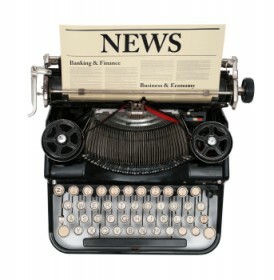 Articles of not this month touch on the need to maintain appropriate email etiquette regardless of who you are and whether using a business or personal account. David Beckham has given up hope of a knighthood in the near future. David Beckham’s personal email account was hacked and revealed email exchanges venting his anger at not being given a knighthood. They also revealed highly sensitive information about his tax affairs – one reason maybe for no knighthood. Barclays lied over £73bn cash call emails. A classic case of using your personal email account for very sensitive business matters. The court has still demanded that all these emails are handed over as evidence.Yet again these emails highlight the point that the only control you have over an email is when you choose to send it. After that you have no control over where it goes. Maybe we need to be exercising more control over hitting send in the first place. Email to gain attention without being pushy. 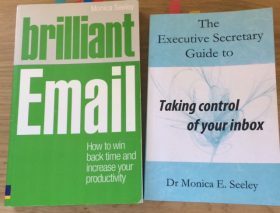 It is not uncommon to receive 100 emails a day and have 2,000+ unread emails in your inbox.’ An extract from Dr Seeley’s latest book Taking Control of Your Inbox. This article focuses on just how to make your email stand out in an already bulging inbox without appearing rude or arrogant. In a culture that calls for instantaneous responses. This is a prevalent culture wherever you work – private or public sector, charities or academia. Indeed one school academic said you were expected to be a clairvoyant and guess what the parent was writing even before they hit send! Here are some off the wall but nonetheless effective tips. We especially like the DND email. Do you want to reduce the risk of being the subject of an email fiasco? Talk to us about how our email best workshops and coaching can help.